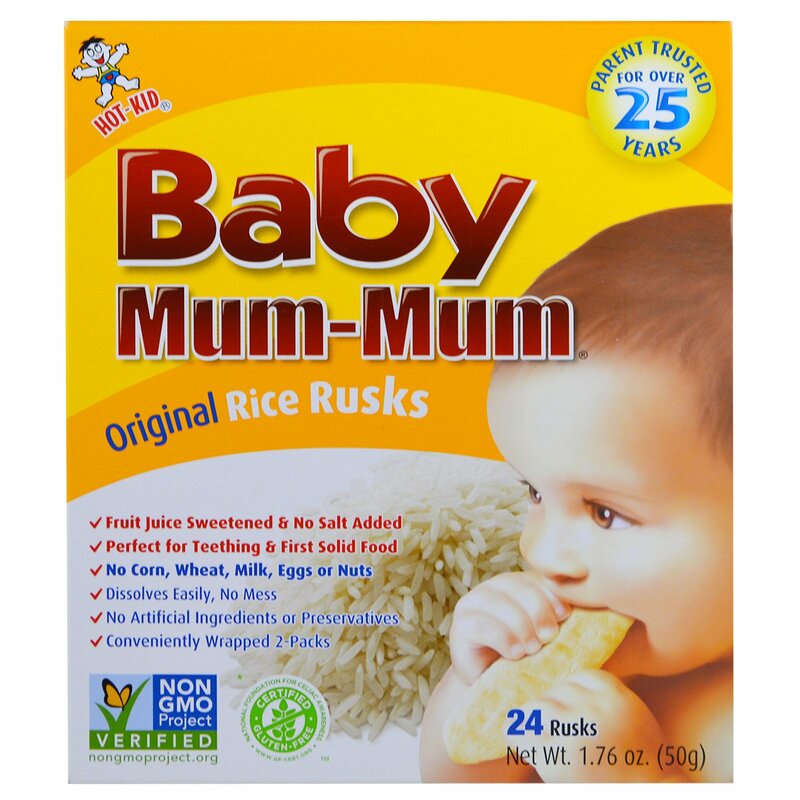 Baby Mum-Mum are the original rice teething biscuit brand in North America, parent trusted for over 25 years. 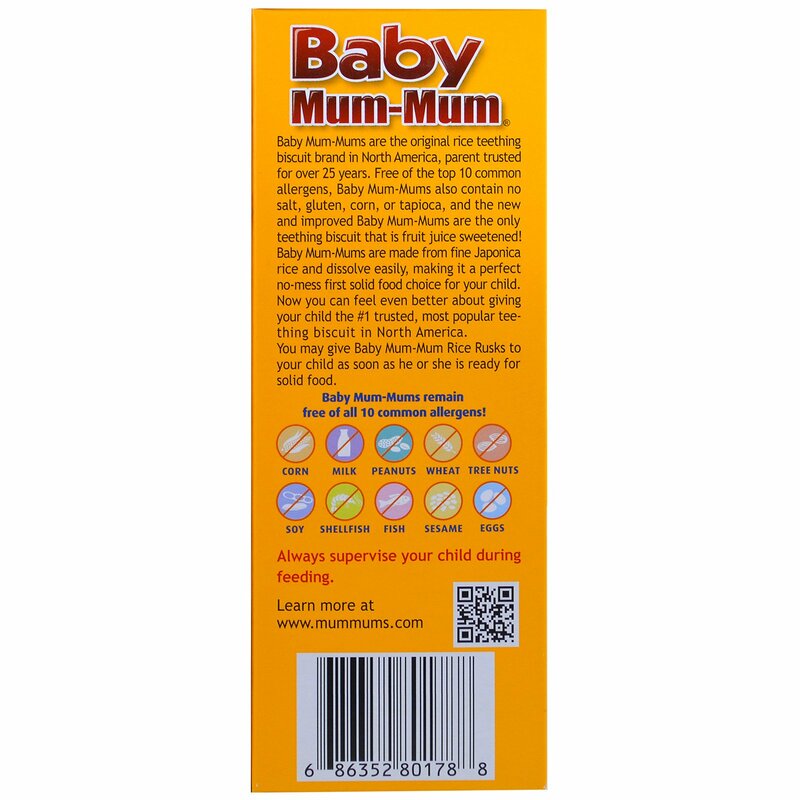 Free of the top 10 common allergens, Baby Mum-Mums also contain no salt, gluten, corn, or tapioca, and the new and improved Baby Mum-Mums are the only teething biscuit that is fruit juice sweetened! 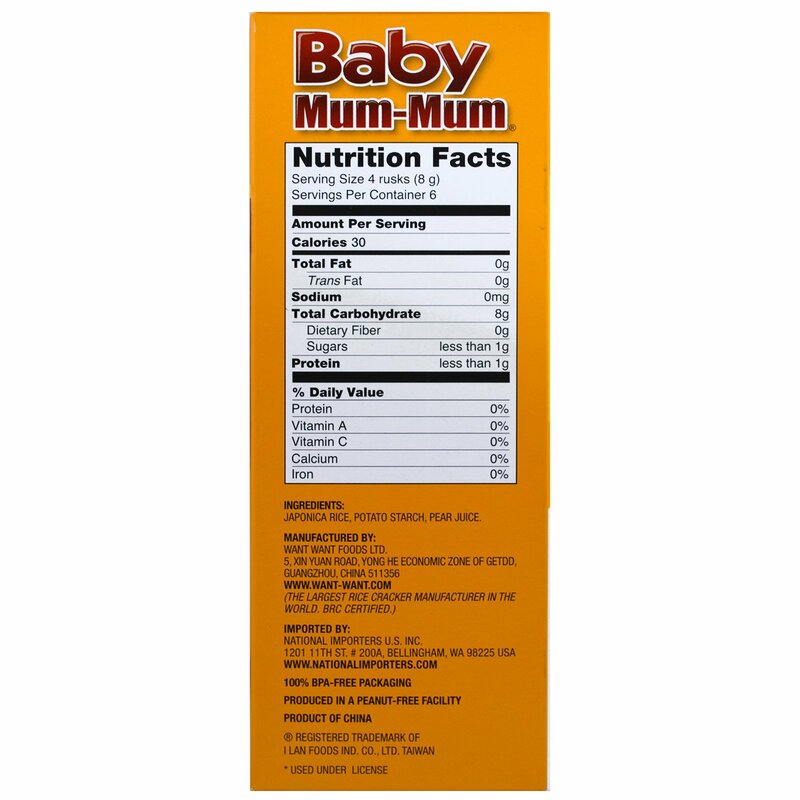 Baby Mum-Mums are made from fine Japonica rice and dissolve easily, making it a perfect no-mess first solid food choice for your child. 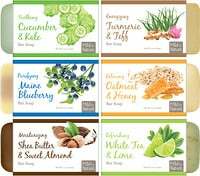 Now you can feel even better about giving your child the #1 trusted, most popular tee-thing biscuit in North America. You may give Baby Mum-Mum Rice Rusks to your child as soon as he or she is ready for solid food. Japonica rice, potato starch, pear juice.